This gorgeous pattern incorporates all things summery, with this easy to make fusible applique technique. You get all of the templates to make the beach huts, sea and clouds with ready reversed diagrams to help you too. You will also receive a packet of beach themed buttons to get you started. 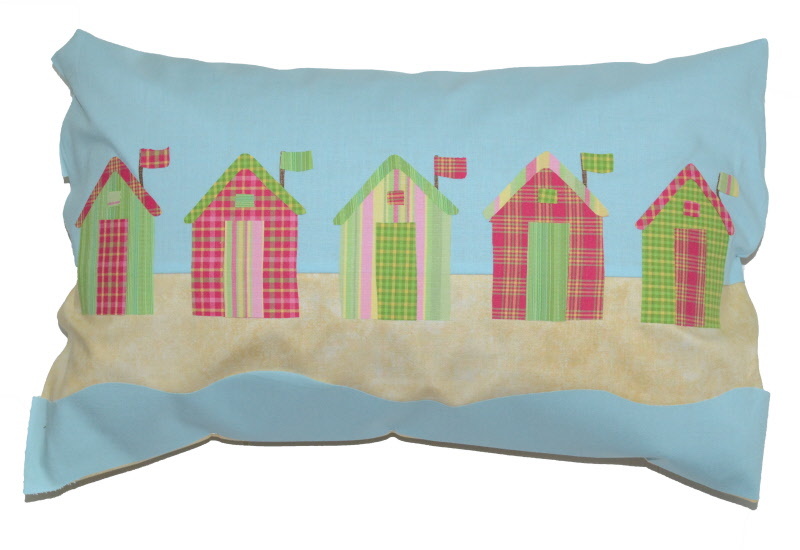 The cushion measures 20 x 12 inches.